Elegant Two Bedroom with Harbor and Skyline Views Garage Parking! Live on the Top of the World! Endless Harbor & Skyline Views from Every Windows! Rare Private Deck! Enjoy 5 Star Full Service Living at sought after Flagship Wharf! This truly one of a kind Oversized Corner Two Bedroom, Two Bath Home has all that you could ever want in a magnificent Waterfront residence! Over 1600SF on one Level! Expansive Open Livingroom Diningroom with Floor to Ceiling Windows all around that look out onto the entire Harbor & Skyline! Custom Built ins! Sliders to Your Own Wonderful Deck! A Bird’s Eye View of Boston! Huge Custom Gourmet Chef’s Kitchen with abundant cabinetry and wonderful granite counter tops! Enormous Master Bedroom Suite with multiple closets and Spa bath with Separate Shower and Soaking Tub! There is also a very generous Guest bedroom & Guest Bathroom. This High Floor Home is Amazing! Valet Parking! 24/7 concierge, elevator, health club & common oceanfront patio. 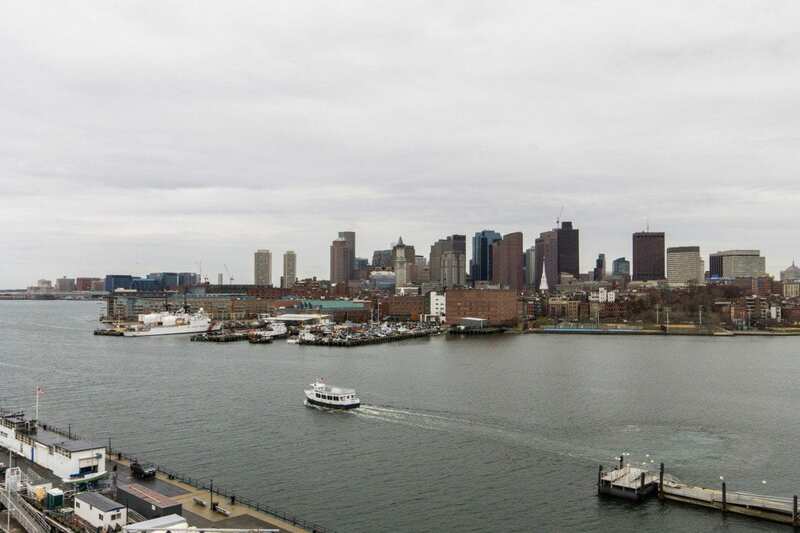 Convenient to public transportation, downtown water shuttle, and Logan Airport!